Why should we think of a simple thermostat this way? It is not very complex. In fact, we can completely understand its state and reason about its behavior by looking at its small and complete program listing. 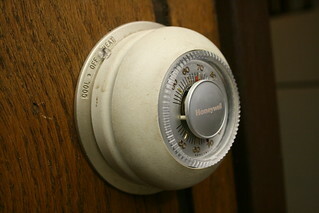 What benefit can there possibly be to endow the humble thermostat with its own beliefs and goals? Let’s step back. We are talking about designing and building intelligent systems, not just programs. The example of a thermostat is indeed small, but let us try out our ideas on a easy to understand system first. Later we can consider applying it to more complex systems. Using a higher level construct to express state can make it easier to reason and understand intelligent systems. It also is useful in describing states that are not completely known or have portions that are not easily observable. In short, defining a program’s state in terms of beliefs and goals may be closer to our natural way of thinking. When I consider my co-worker sitting next to me. I cannot hope to observe the complete mental state of him at that moment. Although I could hope to describe it at a high level with beliefs and goals. I could even hope to predict future behavior with this knowledge of his beliefs and goals, (which most likely has to do with the goal of eating more bacon). Once we have a higher level model of a systems mental state and behavior. It would be easier to debug, communicate, and correct problems. For example, If I come home and the room is way too cold, I could look for the problem in terms of beliefs and goals. Does the thermostat have a faulty belief? Or did it have a good belief that the room was too cold? If so, then the problem was that it could not act on its belief to tell the furnace to turn on. If it could communicate and know the problem, perhaps it could message me and I could arrange a service call, or it could even self-correct. Another example, is my recent experience with my Roomba. I came home the other day to find my Roomba had not returned to its charging station after its scheduled cleaning. Instead, it was stopped under my bed. What went wrong? Did it believe that the battery was low? Or was there some other faulty belief? It would be nice if it could tell me. Delving Further – What is a belief? (> temp 70) "The room is too hot." (< temp 70) "The room is too cold." This testing or criticizing the belief structure of the thermostat is what McCarthy called a Second Order Structural definition for mental qualities. This differs from a First Order Structural definition in that, rather than criticizing or testing an individual belief, he sought to describe them by testing/ criticizing the structure of the whole set of beliefs. In the example of our thermostat, to have a “good” belief structure, in accordance with Second Order Structural definition, it the must have some consequences or actions of it beliefs. Furthermore, these actions most be consistent with its goals. In this case, the action of a belief is returning a new state, the temperature. Our thermostat could issue a command to the furnace to turn on. But, let us keep it simple for the moment and just think of its action directly changing the temperature. Now, our believing thermostat program can be described as having beliefs as well as taking actions from them. So now we have a thermostat that has beliefs and consequences from these beliefs. We still need to figure out how to test that its belief system is consistent with its goals. Thankfully, it only has one goal to keep it simple. The goal is that the room should be OK.
Let’s say that the thermostat is doing what it believes will achieve its goals, if the new temperature is closer to its goal. We can now construct a test to see if the thermostat actions are consistent with its goals. (if (= g s) "Woo hoo!" (thermo-simulation goal 73) ;=>; "Woo hoo!" Our thermostat’s beliefs are good! The way that McCarthy explains the Second Order Structural definition as criticizing and testing beliefs, made me start thinking about test driven design. What if we were to start thinking and designing our programs with this testing of belief and goal structure? It could be IDD (Intelligence Driven Design) rather than TDD/ BDD. From experience, I know that TDD has changed the way that I think about coding and resulted in cleaner and more robust programs. I wonder what effect IDD could have on our program’s creation and perhaps the future of AI. Could changing the way we approach our definition of state and behavior change our software to become more intelligent? Wait a minute. If we write a test system to criticize another programs beliefs and goals, wouldn’t we be designing a program that would have beliefs about another program’s beliefs?